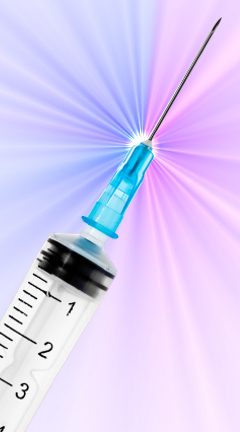 A new partnership aims to supercharge the development of new vaccines. The $14.7 million Coalition for Epidemic Preparedness Innovations (CEPI) has funded a research consortium to develop a rapid response pipeline to develop and test new vaccines in as little as 16 weeks. The partnership will use technology developed at The University of Queensland, and will be led by UQ’s Professor Paul Young and Dr Keith Chappell. “The World Health Organization’s Blueprint list of priority diseases recognises that new epidemics can arise from known and unknown viruses – the latter referred to as ‘Disease X’,” Professor Young says. Dr Chappell said the project was ambitious, as more conventional approaches could take years or even decades. Professor Young, Dr Chappell and Dr Daniel Watterson have patented ‘molecular clamp’ technology that provides stability to the viral proteins that are the primary target of our immune defence. “The technology has been designed as a platform approach to generate vaccines against a range of human and animal viruses,” Professor Young said. Dr Watterson said the collaboration would act as an insurance policy against deadly outbreaks caused by the emergence of viral epidemics or pandemics. “By rapidly creating vaccines to these new threats, we’ll be able to quickly limit the spread of disease and diffuse potentially catastrophic situations. The collaboration involves UQ, the CSIRO, the World Health Organization’s Collaborating Centre for Reference and Research on Influenza (WHO-CC), the Australian National University (ANU), Hong Kong University (HKU) and Q-Pharm Pty Ltd.